The Non-Covalent Interaction (NCI) index is a new topological tool that has recently been added to the theoretical chemist’s arsenal. 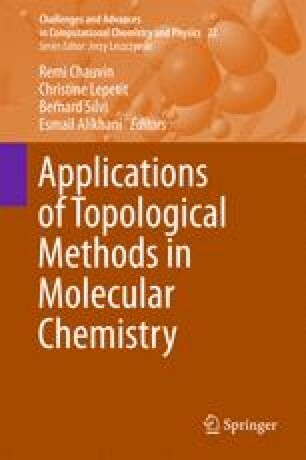 NCI fills a gap that existed within topological methods for the visualization of non-covalent interactions. Based on the electron density and its derivatives, it is able to reveal both attractive and repulsive interactions in the shape of isosurfaces, whose color code reveals the nature of the interaction. It is interesting to note that NCI can even be calculated at the promolecular level, making it a suitable tool for big systems, such as proteins or DNA. Within this chapter we will review the main characteristics of NCI, its similarities with and differences from previous approaches. Special attention will be paid to the visualization of new interaction types. Being based on the electron density, NCI is not only very stable with respect to the calculation method, but it is also a suitable tool for detecting new bonding mechanisms, since all such mechanisms should have a detectable effect on the electron density. This type of approach overcomes the limitations of bond definition, revealing all interaction types, irrespective of whether they have a name or have previously been identified. Finally, we will show how this tool can be used to understand chemical change along a chemical reaction. We will show an example of torquoselectivity and put forward an explanation of selectivity based on secondary interactions which is complementary to the historical orbital approach. This work undertaken (partially) in the framework of CALSIMLAB is supported by the public grant ANR-11-LABX-0037-01 overseen by the French National Research Agency (ANR) as part of the “Investissements d’Avenir” program (reference: ANR-11-IDEX-0004-02).